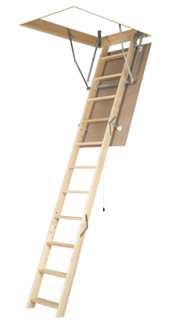 The LWN is a basic, three-section folding attic ladder with a paintable particleboard lid. 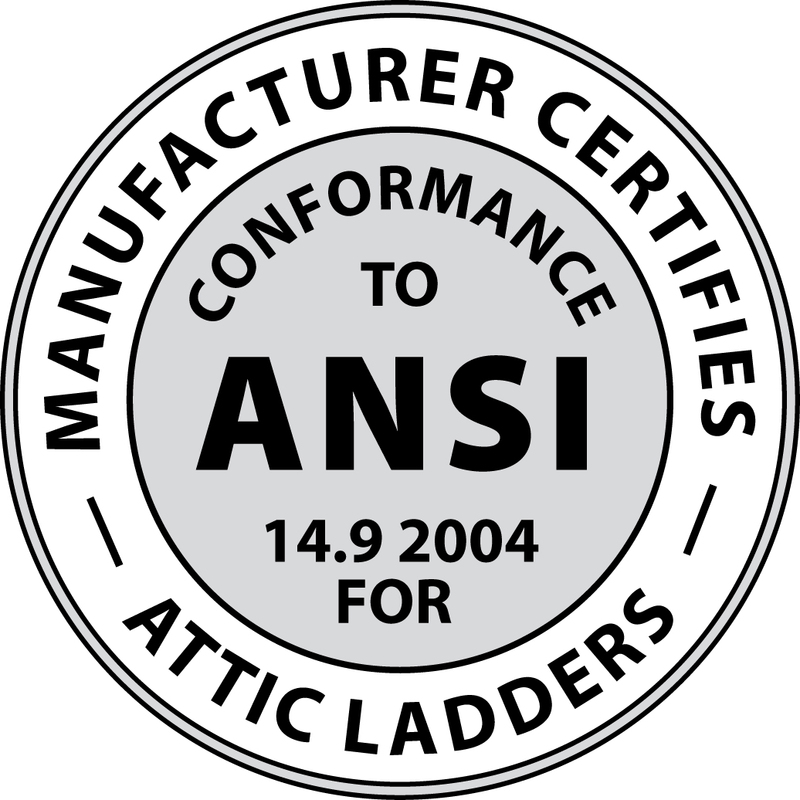 It is suitable for areas that do not require an insulated attic ladder. 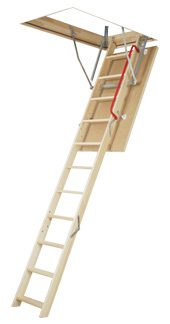 The LWP ladder is made of wood and folds in three sections. The lid is insulated and a seal lines the perimeter of the frame. 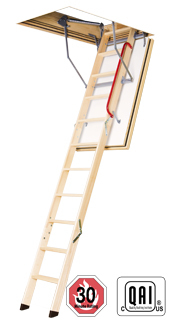 The LWF is a half-hour fire-rated attic ladder that folds in three sections. 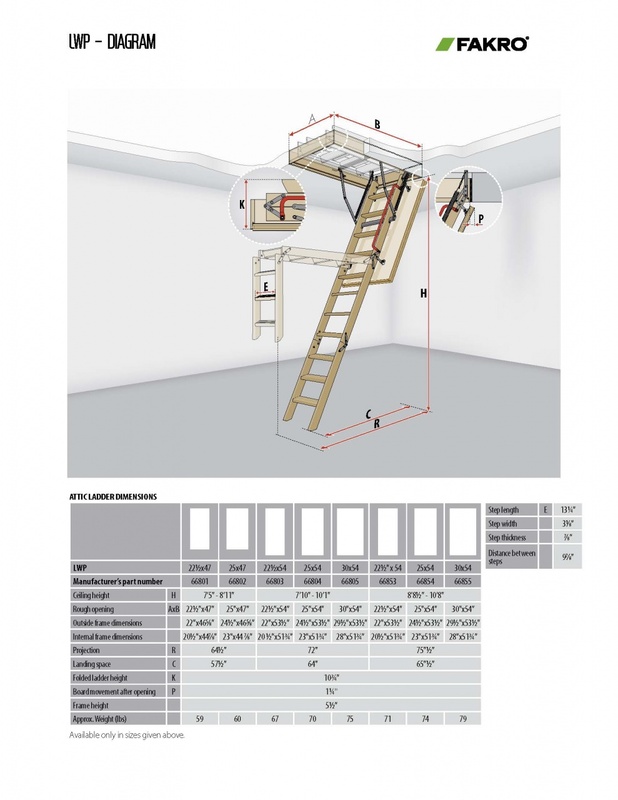 A peripheral seal expands under extreme heat, sealing the hatch and fire-free storey. 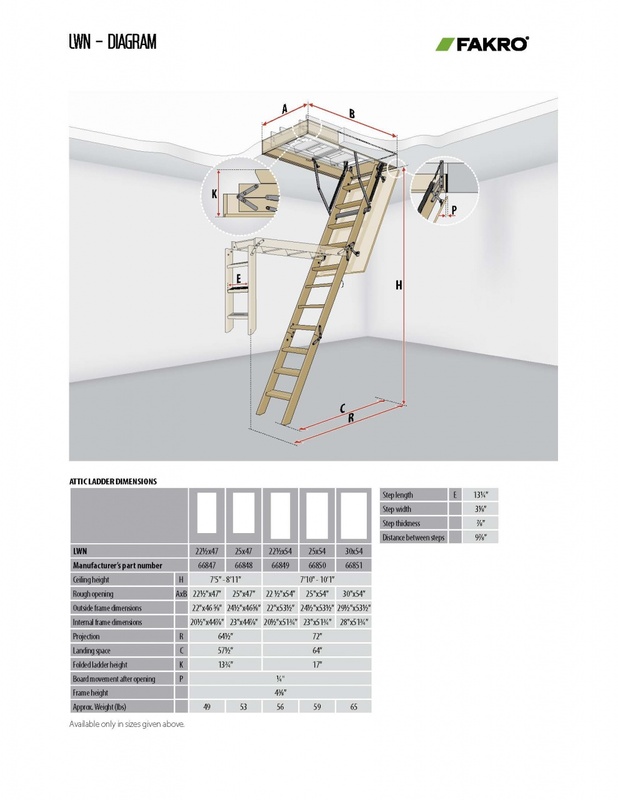 Fire-rating, LWF - NFPA 288-12 (USA); CAN/ULC S101-07 (Canada); ASTM E119-14 (Intern’l).